All your shooting needs in one place. The Atkin Grant & Lang Gun Shop has recently been completely refurbished and expanded. We pride ourselves on delivering a first class service backed up with the skills and experience gained over many years of successful operation. We are situated just a few minutes off Junction 9 , M1 near Markyate in Hertfordshire.Click here for directions. We stock a varied selection of new shotguns and rifles from all the usual well-known brands in a range of calibres, as well as a wide choice of pre-owned guns. Please click on 'Guns For Sale' for a complete list. We buy used guns and take guns in as part exchange against new and used sales. Please call in for a free valuation. We also offer a ‘Brokerage’ service aimed at maximizing the value of your sale proceeds. As part of a group with an impeccable reputation we can ensure your gun gets the best exposure to market. Please ask us for details. We are one of the few English gun manufacturers that employ a team of qualified gunsmiths in house, making new and refurbishing / rebuilding classic English shotguns. Our team are experts at general services and repairs, and offer an outstanding gun fitting and alteration service. If you are interested in commissioning a new gun or purchasing one of our refurbished modern or classic models then please contact us for more information. One of our staff will be happy to show you around the workshops and talk through any requirements you may have. 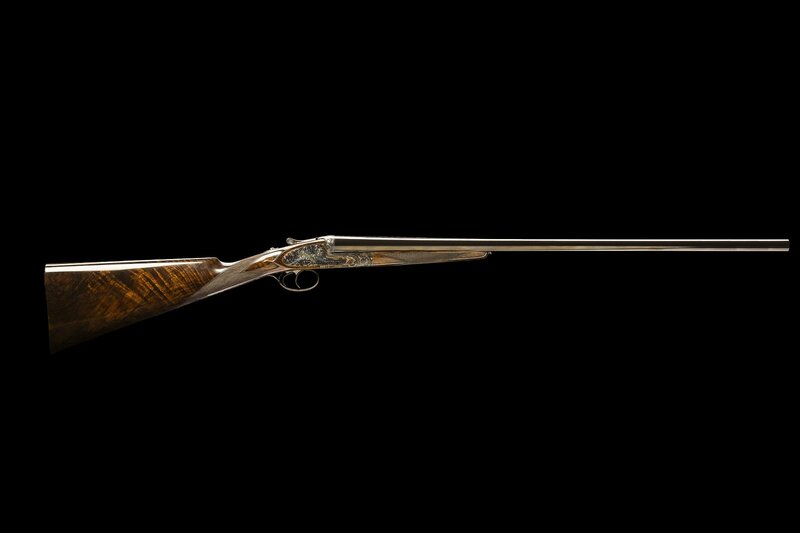 Listings of Atkin, Grant and Lang guns currently available for sale can be found in the 'Gun Making' section of this website.